London - South Africa’s new political leadership under President Cyril Ramaphosa sets a solid and credible policy trajectory, Reserve Bank governor Lesetja Kganyago said. Investor confidence started creeping back after the ruling African National Congress elected Ramaphosa as its new leader in December, paving the way for him to take over from Jacob Zuma when he resigned as the country’s president last month. Ramaphosa announced changes to the Cabinet this week, including reappointing Nhlanhla Nene as finance minister, the position Zuma fired him from in 2015, a move that triggered a sell-off in the rand and bonds. South Africa’s foreign and local currency credit ratings dropped to non-investment grade last year as Fitch Ratings and S&P Global Ratings lowered their assessments, citing policy uncertainty and concerns about the management and finances of state-owned companies. 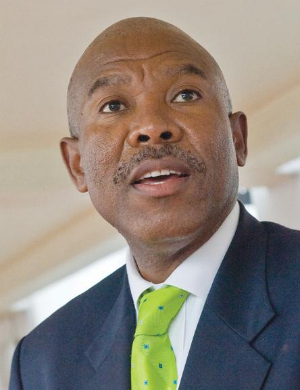 While Nene brings credibility to the Treasury, it “will take more than the finance minister” to avoid another junk credit rating, Kganyago said. Moody’s Investors Services has South Africa on review for a downgrade and may make an announcement on March 23. “The future of South Africa’s credit rating is in the hands of the policymakers,” Kganyago said. The rand has advanced 8.7% since Ramaphosa was elected as ANC leader. “The move on the rand starting in December was a welcome correction, pricing in the prospect of a changing political leadership,” Kganyago said.